There are many motifs involved in carrying out a stylish and aesthetically rich interior decoration and wall art is one of them. With suitable architectural design, flooring, furniture and colors, wall art is also an integral part of giving your space a defining decorative look. 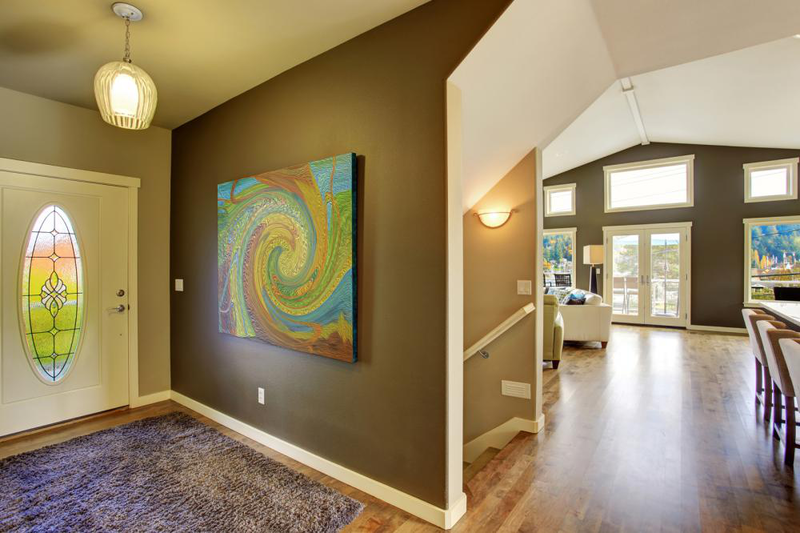 Let’s see how wall art is important in representing the look of any interior design. Fans of different color hues are always concerned with the shades of their walls. Getting the right matching and contrast is an important aspect to get a visually pleasing color combination. You can enhance this color effect with an intelligent use of wall art of your choice. Wall art will also help you in adding a layer of color which is not possible with wall paints. But try to maintain the harmony of colors and don’t overdo it. Too many colors don’t look pleasing and only clutter the vision. Providing each space, whether its living area or bedroom, with a focal design element is a vital feature of any interior décor and wall arts can serve this purpose very effectively. A focal design element is the first thing which gets noticed by viewers and builds their opinion of the décor. For instance, having your favorite painting hanged above the chimney in the living room will lead the overall look of the space. If you have a renaissance paint hanging over the wall then visitors will expect classic timber furniture in the space. Similarly, abstract aesthetics can go well with minimalistic and modern furniture designs. Wall arts can be of various structures and designs. They are not just limited to paintings. Shadow boxes and sculptures can add a further dimension to the vertical planes of your space. All this multi-dimensional wall art will add the visual credence you want to have a rich interior décor. Even if you have sufficient furniture in your space, but walls only draped in a single color then it creates a perception of an unfinished interior. With wall art, you can dispel that perception. Even a room with few interior articles looks more furnished when adorned with a wall art. They are the obvious choice when one goes to get wall art for their interior space. Wall paintings can be of many types. There are classic designs and then are the abstract ones. You can also use calligraphy specimens as wall decorations. Different figurines and sculptures are also used for the decoration of walls for large spaces. Lighting fixtures with rich and intricate designs can also be used to adorn the walls not only with their designs but also with their luminescence to provide the ambiance of your choice. Wallpapers and laminations can also be used wisely to decorate the walls if you are on a tight decoration budget.